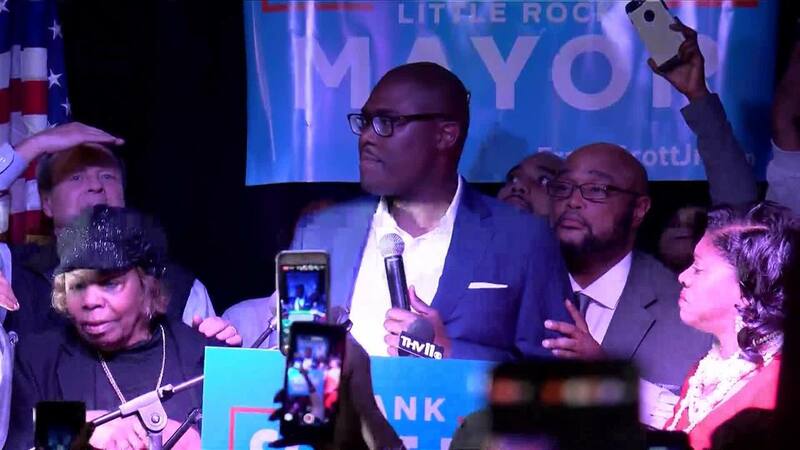 A banking executive and former highway commissioner won Tuesday’s runoff for Little Rock mayor, becoming the first African-American elected to lead Arkansas’ capital six decades after it was the center of a school desegregation crisis. Frank Scott, 35, defeated Baker Kurrus in the runoff election for the nonpartisan, open seat. He’ll succeed outgoing Mayor Mark Stodola, who announced earlier this year he wouldn’t seek re-election.